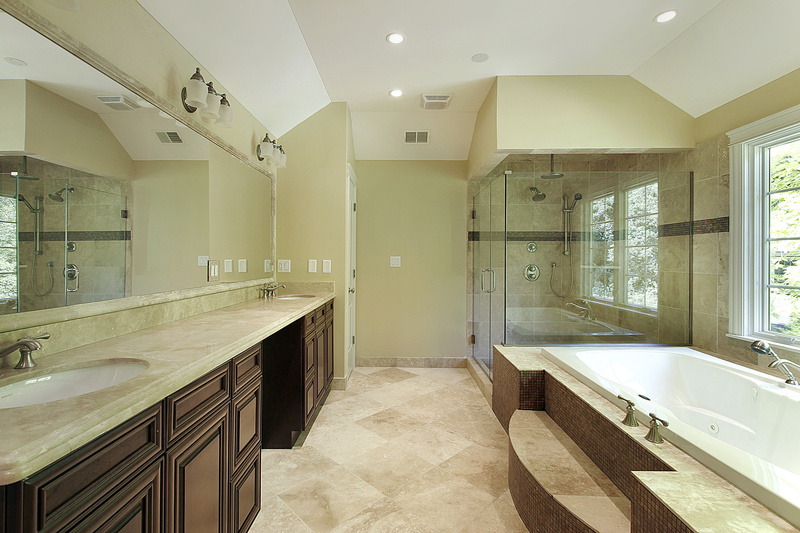 Breathe new life into a room with a remodel using ceramic tile flooring in Gurnee, IL. Our local flooring store offers you a varied selection of tile in different brands, colors, shapes, and sizes. With our extensive selection, we are confident that we have exactly what you need to transform any room in your home. Our store emphasizes customer satisfaction. To ensure that you have a positive shopping experience with us, we offer a wide array of choices in tile flooring, as well as attentive personal service. We have sales and designs experts on staff whose job it is to see that you have everything necessary to find the flooring you need for your home or business. Let us show you samples, offer design recommendations, and help you narrow down your choices until you have the perfect flooring for your space. A ceramic tile floor is a classic that goes back thousands of years. This flooring option has been popular for so long because of its beauty, versatility, and durability. Ceramic is distinctive from other type of tiles because it imparts a refined look of elegance to any room. This tile is available in a wide assortment of subtle shades and cloudy patterns. Select ceramic tiles for any room of your home. This flooring type is one of the few that works as well in wet environments--such as the basement, bathroom, or kitchen--as it does in dry spaces. It resists water so it is ideal in rooms where water is in use or the humidity levels are high. Ceramic is a tough floor covering. It is made from clay that is fired in kilns at extremely high temperatures. This produces floor tiles that are strong and long-lasting. These floor tiles perform well in busy residential and commercial settings. We recommend professional ceramic tile floor installation to protect your investment. Ceramic tiles must be installed precisely and properly. For one reason, installation requires precise measurements because the squares in the outside or inside must be cut to fit the room. If measurements are not exact, tiles are wasted. Another challenge to installing floor tiles is the grout. The grout that gives ceramic tile those visually appealing lines of separation is essential to keeping individual squares apart so they do not crack and break. When laying ceramic on a clean, level, and dry subfloor, mortar is troweled onto the subfloor to hold the tiles in place. Too much and the floor is not perfectly flat and even. Too little and the tiles do not stay securely in place. Choose the ease and convenience of professional installation from our skilled technicians. These professionals know exactly what to do to install your flooring for flawless appeal and durability. Contact us today to schedule professional ceramic tile installation with our flooring technicians. We proudly serve customers in Gurnee, Illinois, and the surrounding Lake County, McHenry County, and Northern Cook County areas.